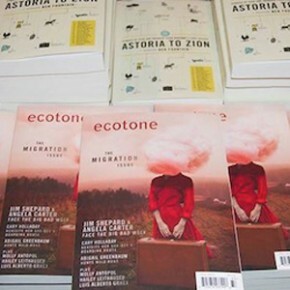 We kick off today’s news with the announcement that Astoria to Zion: Twenty-Six Stories of Risk and Abandon from Ecotone’s First Decade has won a gold IPPY (Independent Publisher Book Award) in the anthology category. Another award-winning Lookout title! It’s only been a few weeks since our Astoria to Zion event in Boston, and we’ve just posted pictures on our Facebook page. Here’s one of contributors and master storytellers Bill Roorbach, Matthew Neill Null, and Steve Almond, but there are plenty more so go check them out! 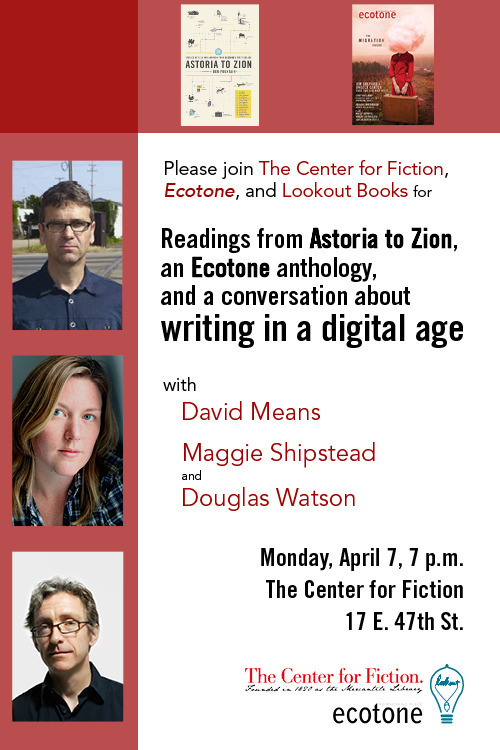 Astoria to Zion contributor Maggie Shipstead continues to dominate lit news with her new novel, Astonish Me. She’s featured in Elle and the Miami Herald, and sits at number one on Huffington Post’s list of 6 Books You Should Read this Summer. And, if you live in the Saratoga area, Maggie will be at the Northshore Bookstore on May 3 at 7 p.m. for an interview and book signing.